As much as we use them on a daily basis, hot water systems aren’t exactly a topic that comes up in regular conversation. Realistically, so long as it works, most people are happy, with a second thought rarely given to how it works or which brand is best for them. As handy as they are, having to replace or find a new hot water system can be a real challenge, as companies offer a variety of different models to suit all types of households and locations. While each model ensures you have hot running water, it’s always best to look into would be the best fit for your household, as the end result may help you save big on your future energy bills. What is Continuous Flow Hot Water? A continuous flow hot water system is usually a smaller, wall mounted unit that heats the water as you use it, rather than storing it like more traditional hot water systems will do. As the name suggests, the unit provides continuous water flow until the shower or the tap being used is turned off. Continuous flow models also work with both gas and electrical systems, meaning that they will suit most households. Most hot water system providers will have a continuous flow line, as demand for these smaller units has increased dramatically over recent years. Some providers and brands label their continuous flow models as ‘instantaneous hot water systems’, so don’t be confused by the amount of options on the market. Who offers Continuous Flow Systems? 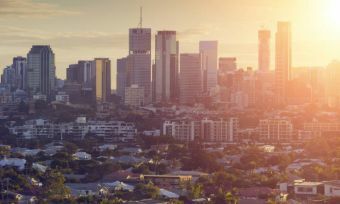 While there a number of providers and brands that offer Australian households plenty of hot water heaters and continuous flow systems, here are a few of the more well-known brands. Offering two gas models, AquaMAX is a well-known brand and provider of continuous flow models. 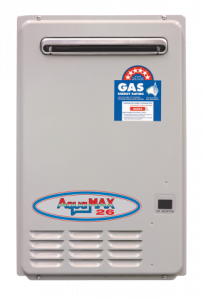 With high energy ratings and capable of keeping up with high-demand households, AquaMAX is another option for households. Rinnai boasts bringing the Australian masses the first fully electric continuous flow system back in the 1990s, making it a leader in the hot water market. Offering 10 models within its continuous flow line, Rinnai offers the largest range for consumers to choose from, with the company looking to make itself your one-stop-shop for all your hot water needs. 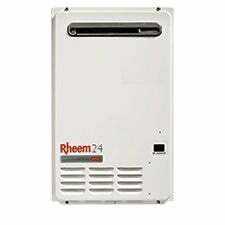 Rheem has been a mainstay within the hot water market, with the company providing a large variety of continuous flow models for Aussie consumers to choose from. The range features solar, gas and electric storage as well as continuous flow or heat pump options. With most models rating above six stars for energy efficiency, Rheem has been a consumer favourite for years. Offering one of the most technologically advanced models, Bosch has also been a big player within the Australian hot water market for the last few years, with the company operating within Australia since the 1950s. If you’re after a hot water system you can connect via Bluetooth, Bosch could be the brand for you. Offering 12 year warranties on its continuous flow models, Dux says it believes in quality for consumers, offering multiple models for Aussie households to choose from. 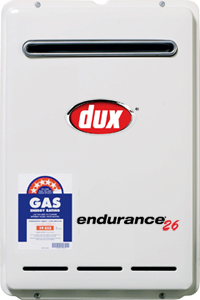 Dux also offers condensing systems, which use a second heat exchanger for better efficiency, earning it a 6.7 energy rating. Is Continuous Flow the Best Option for Me? The hot water system will be a unique purchase for each household, as water consumption and location will affect which brand and type of system you should buy. The continuous flow model would best suit households with lower usage, or fewer people, in order to keep costs down. Purchasing the continuous flow model will initially cost more than a traditional hot water system, but should cost less you on bills and maintenance costs in future. It’s also ideal for those with limited space, with smaller dimensions and wall-mounting features. Ultimately it will be up to the individual to decide if a continuous flow model is worthwhile, but with lower ongoing costs and higher efficiency levels, it will be tough to choose otherwise.